Its far more than a diploma, you get the value of a Catholic education the knowledge you can go anywhere, do anything and the Garces family will be by your side. Garces Memorial High School prides itself on its rich traditions and the successes of our alumni. Garces Memorial has produced leaders in education, business, law, medicine, civil service, and many other professions. Our alumni continue to support Garces Memorial in countless ways such as attending special events, making charitable gifts, and sending their children and grandchildren here to continue our traditions and start new ones. To further strengthen our alumni relationships, Garces Memorial has established an Alumni Board. The alumni board will determine the annual slate of the Hall of Honor inductees, plan alumni events, and look for opportunities for Garces Memorial to reconnect with our alumni. Garces Memorial offers a number of opportunities for alumni involvement. There are many ways for you to become more involved with your alma mater and to keep the Garces Traditions alive! Just because you've graduated doesn't mean you've left! You’re always welcome at Garces Memorial. To stay updated on what is happening with alumni, students and the Garces community, please explore our website. In honor of our 70th anniversary, Garces invites our alumni to come and celebrate Mass with us once a month. We hope you will join us at OLPH Church and celebrate Mass with our Garces student body. There will be pews at the front of the church reserved for our alumni. Garces is working on updating our database and the easiest way to send you information is via email. Please email alumni@garces.org with your name, address, cell phone, business phone and/or home phone so we can make sure we have your information on file. Garces Memorial offers a number of opportunities for alumni involvement. There are many ways for you to become more involved with your alma mater and to keep the Garces Tradition alive! It is always our pleasure when alumni come to visit. Look for more alumni events in the near future as our Alumni Board is working on bringing back Alumni Career Day and other ideas to bring alumni back to campus!  The Garces Memorial Alumni Board was re-established in the Fall of 2008 for the purpose of reconnecting alumni through social, charitable, educational, and spiritual activities while exemplifying the mission and philosophy of Garces Memorial High School. Through its programs, the board will promote a spirit of fellowship and loyalty among the students, faculty, staff, alumni, and the greater Garces community. The primary event for the alumni board is the Garces Memorial Hall of Honor.